"imo" to Outer Space? | CREWT Medical Systems, Inc. 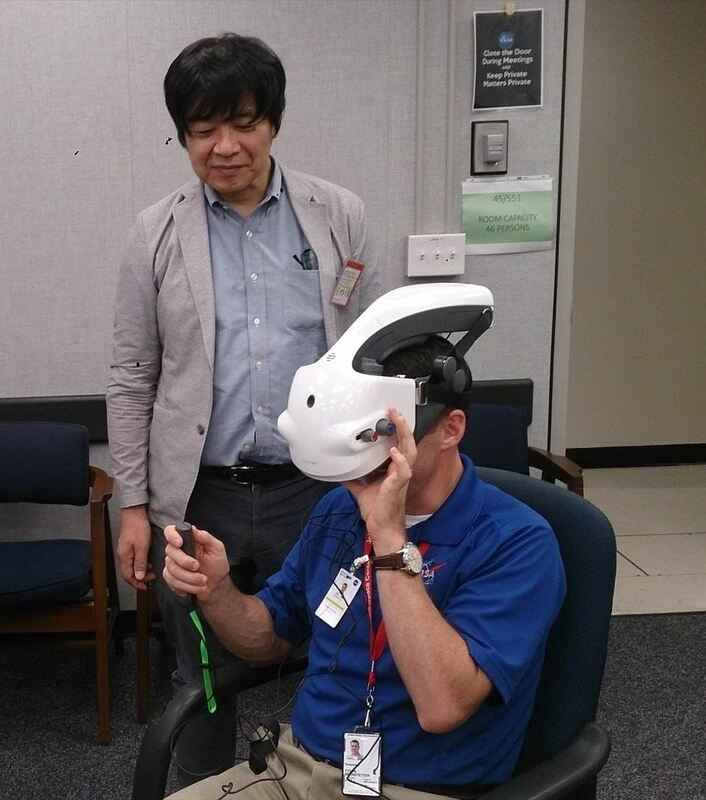 Through an introduction by the co-developer of the head-mounted “imo®”, Professor Chota Matsumoto of Kindai University, CREWT members were invited by NASA’s Spaceflight Associated Neuro-ocular Syndrome (SANS) Project Team to the Johnson Space Center (JSC) for an “imo®” demonstration in August 2018. The SANS Team is studying the influence of microgravity conditions on the eye and central nervous system, and this requires both structural and functional evaluations of the optic nerve onboard the International Space Station. Although visual field testing is one method for evaluating the function of the optic nerve, many existing visual field perimeters are not suitable for use in outer space due to their large size. This is why NASA is seeking a compact and portable perimeter. Our “imo®” is the world’s first portable perimeter equipped with precision equaling the global standard SAP (Standard Automated Perimetry), having potential to satisfy NASA’s demand, which led to the demonstration request. CREWT is committed to continue developing programs that will provide solutions for existing needs. and CAPT Tyson Brunstetter of the SANS Team, NASA.